Wow That’s A Lot of Apples! Who would have thought that all those home-grown apples, vegetables and flowers, as well as those home made cakes would have raised so much money at the Harvest Auction. Last Friday 2nd October, Dave and Natasha hosted the ever popular Harvest Festival Auction in The Red Lion. 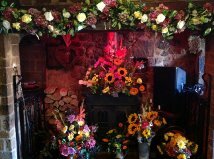 See the fireplace photo showing all the flowers, there was also a table and surrounding area full of beautifully displayed donated produce . The evening raised an amazing £675.50 that will be split between Save the Children – Syria Refuge Crisis and The Banbury Young Homeless Project. Dave and Natasha would like to thank everyone who donated and bought the produce, and made it such a successful event. Special thanks to Tash and Dave for all their efforts in once again putting their pub at the heart our village. This entry was posted in Activities and tagged Auction, Harvest Festival, Red Lion on October 5, 2015 by thehorleyviews. Did you get up early on Monday morning (28th September) to see the Super Blood Moon eclipse, Hanwell Observatory ‎estimated it would be best seen at 03:47am BST when the moon should appear red due to light bent by the earth’s atmosphere. Harvest Festival – two events this week the first on Friday (tomorrow) 2nd October 7:00pm at The Red Lion and sees the return of the ever popular Harvest Festival Auction. Please either drop off your produce or bring it with you at 7:00. Then this Sunday October 4, 11:00 at St. Ethedreda’s Church a traditional Harvest Holy Communion. 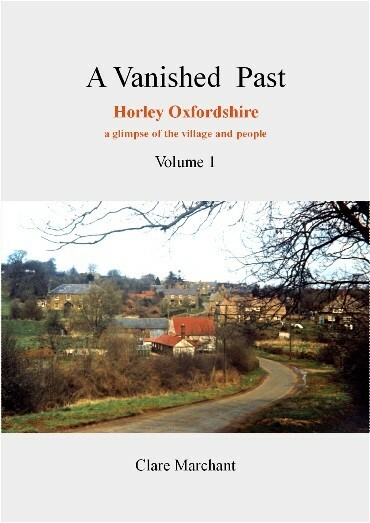 A Vanished Past – Clare Marchant has kindly agreed to let us take a “look inside” her two books to share some photo’s and excerpts. Here are two emails we’ve received from former Horleyites …. You can buy them directly from Clare by sending your address and cheque made payable to Clare Marchant to 15 Circus Street, London SE10 8SN. Each book is £15, Post & Packing is £3 whether you buy one or both. 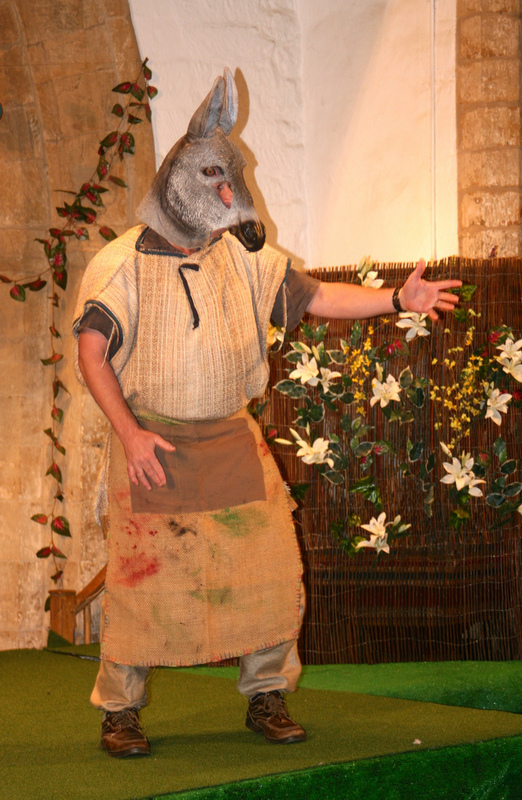 A MIDSUMMER NIGHT’S DREAM – Took place in our magical church last weekend, and was the most spectacular production so far. In addition to the “5 Reasons” each and every actor played their parts brilliantly, the feedback from each of the audiences was that they were amazed at how highly entertaining and professional it was. Full credit goes to Tessa Howell for her brilliant creativity in reducing this play to its pure essence and re-imagining it here in our church. Tessa adapted the script and had been struggling to recruit the cast for over a year. It was also no mean feat managing the scheduling of the rehearsals ; only on the final dress rehearsal the did she have a full cast! Reminder: The Parish Council pages are frequently updated; see the Notice Board for items that are sent to the Parish Clerk that may be of interest; see Planning for applications that are received and those decided. Also due to the transparency requirements all Parish Council Meetings agendas are published in advance and then the resulting meeting minutes are posted. Also remember you can always see what Lucy submits to the Banbury Guardian, these pages are updated regularly as are the photo’s and headers. I’ve started to include photo’s of Horley Views from Facebook and if you have any you would like to share you can always email them to horleyviews@outlook.com . 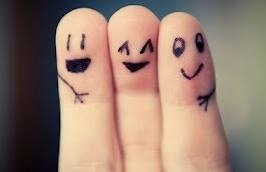 We really enjoy getting your feedback and are delighted to include your ideas, information or memories in fact anything that you would like to share. 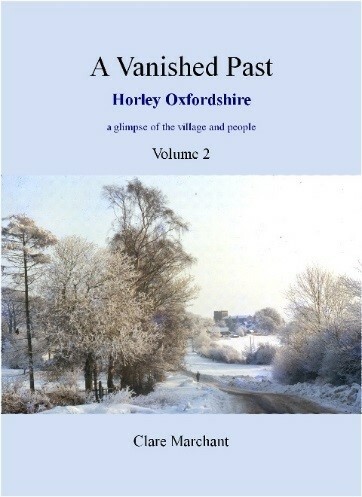 This entry was posted in Posts by Horley Views and tagged A Vanished Past, Clare Marchant, Debra Fox, Harvest Festival, Horley Footlights, Midsummers Night's Dream, Red Lion, St. Etheldreda’s Church, village news and information on October 1, 2015 by thehorleyviews.